Does the application of these kits adversely affect the illumination of my lights? Our headlamp protection material blocks less that one tenth of one percent (.1%) of the light produced by your headlamps. You will not notice any difference in the brightness or performance of your lights. 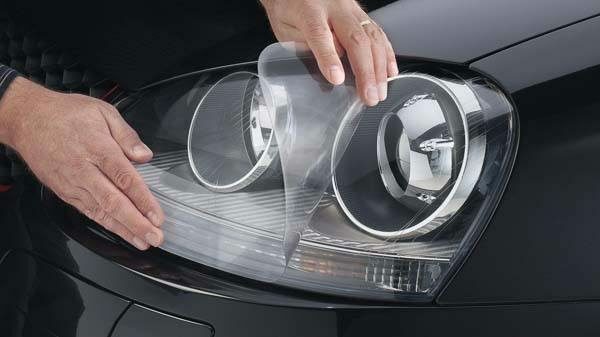 What special care is required for your headlamp protection kits? Our kits require no special care. The most important thing is to avoid using any abrasives to clean the lens covering. A soft cloth or sponge will work fine. What if I take my car to the car wash? Neither high-pressure nor brush type car washes will affect the kit once it has fully cured. Yes, by leaving the car out in the sun to heat up or using a steamer the film can be easily removed without damage to the paint surface.Once the film is warmed up, peel edge and slowly stretch film off at a slight angle.By doing this correctly the film will leave very little if any glue behind.If glue is left behind we use a product called Rapid Remover which is safe for all paints and lenses. After a proper installation the film is very difficult to see, especially when we wrap all edges and there are no seams. Most people do not even notice the film on the car. All of the films we carry are warrantied for at least 5 years against cracking, yellowing, bubbling, and fading.On a daily driver in Florida, we recommend removing the clear bra in 4-5 years to avoid the film from going bad.If garaged kept the film will easily last 7-10 years in the Florida climate.Washing your vehicle regularly and keeping the edges clean will ensure that the film stays invisible and will keep your car looking great. How is the kit applied? Do you spray it on? The plastic material comes to us in a large roll. Our machines cut the plastic into shapes designed to fit various parts of your car. These pieces are then applied to the vehicle in a very similar fashion to that of window tint. The pieces and the painted surface are wet with a solution and moved into position, then the solution is squeegeed away. What if I want to take my car through a car wash? What happens when I wax my car? 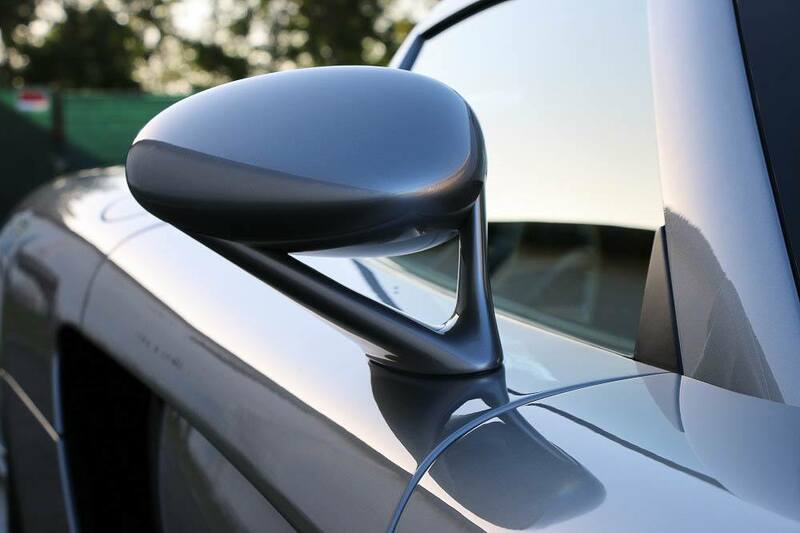 Using regular wax and polish on the film is still acceptable, however using a clear spray wax is highly recommended.When waxing the vehicle, stay away from the edges of the clear bra. What do I do if wax builds up on the edges of the kit when I wax my vehicle? A soft, damp terrycloth towel, Q-Tip or soft brush will remove any wax build-up that may occur without harming the kit or your paint.